Each year, the Kalmar Ottawa Dealer Meeting is hosted by Kalmar Ottawa for dealers in the truck industry to come together to discuss current market trends, economic forecasts, and other topics related to the industry. Our owner, Don Robinson, enjoys regularly attending this event to represent Louisville Switching. The Kalmar Ottawa truck is a trusted piece of equipment at Louisville Switching. With each model, Kalmar Ottawa continues to improve their gold standard of fifth wheels since their debut in 1958. The features of the Ottawa are built with the ease of serviceability in mind, along with durability, visibility, and ergonomics to make the operating experience simple and hassle-free. What goes faster than a pitcher of ice cold lemonade on a scorching hot summer day? For the Louisville Switching, the answer is... a 2015 T2 Kalmar Ottawa Yard Truck fresh off the lot on a frosty winter day. 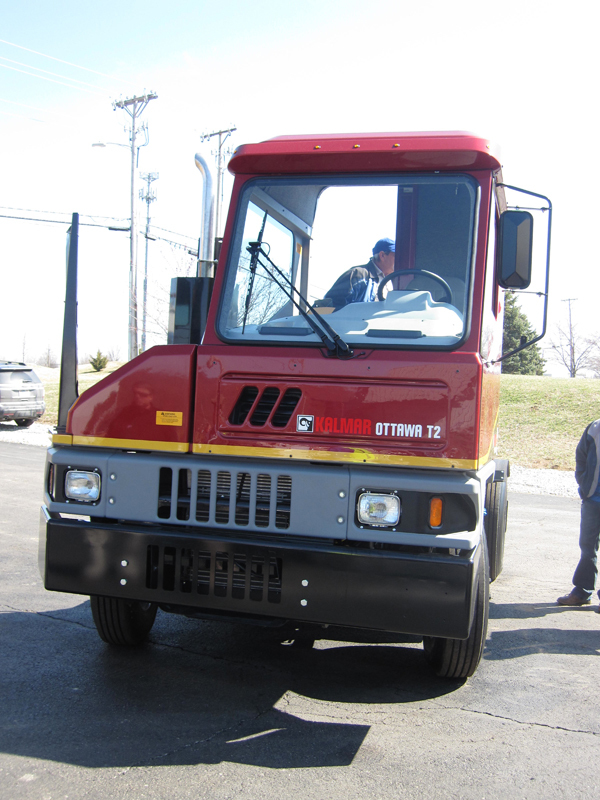 Louisville Switching recently received two new Ottawa Trucks on the lot and within 48 hours they were sold. Kalmar Ottawa announced the addition of four new dealers to the North America network last month. Dealers in the network are committed to providing sales and product support to terminal tractor customers. Kalmar Ottawa believes these dealers are crucial to a successful business.